Yes! Conchs have been known to produce pearls! Mostly, conch pearls have been found within the queen conch, the S. Gigas, and they’ve even been treasured and coveted since Victorian times. But they aren’t like normal pearls, they have a different color and composition than the classic white or cream pearl that we know so well. 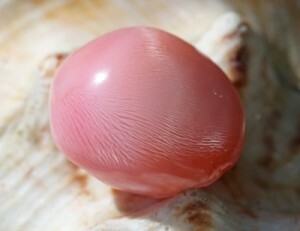 Usually, you can find queen conch pearls in colors like white, brown, and even orange. But the most common color is pink! A pearl from a queen conch! Isn’t it beautiful? Posted in Key West | Comments Off on Conchs Can Produce Pearls! Did you know that the Hard Rock chain first opened in London, England? Sure enough, it opened June 14th, 1971 under the management of Americans Peter Morton and Isaac Tigrett. The first Hard Rock Cafe displayed a good deal of eclectic and unique decor, but later chains focused on what the Hard Rock industry displays now, which is mostly rock and roll memorabilia. When the chain expanded internationally in the 80s, they established locations in Toronto, LA, San Francisco, Chicago, Paris, and Berlin! 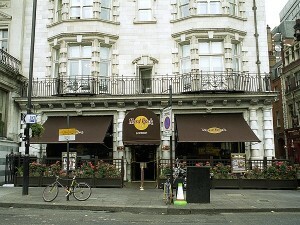 The Hard Rock Cafe in London, England. Ready For Some Hard Rock? Everyone loves going to the Hard Rock Cafe in whatever city they visit. Key West, of course, has it’s own Hard Rock Cafe that shares in the Hard Rock Cafe legacy of great food, fun atmosphere, and the music! Ours is located at 313 Duval Street! Posted in Key West | Comments Off on Ready For Some Hard Rock? CAST of Old Town Trolley Tours of San Diego Become Land’s End Business Outfitter Models! Old Town Trolley Tours of San Diego was honored to participate in a Lands’ End Business Outfitters photo-shoot for their catalog and website. We were all very excited and showed up bright and early to be future stars! A Lands End team of make-up artists, costume tailors, and photographers were prepared as soon as we arrived. We spent a couple hours getting made-up to feel like celebrities! Once we were fitted into the uniforms, we were driven out to different locations to do the photo-shoot. Balboa Park and Shelter Island were a couple of the locations. “Move your arm this way, shift your head that way!” The photographers did their best to take quality pictures for the catalog. After it was all said and done, the pictures were perfect! Nikki, our Sales Rep, was part of a collage for the cover of the catalog. Other Leadagers and CASTmembers were featured either in the catalog or on their website. Rod LaBranche and Tyler Grubenhoff can be seen being interviewed for the promotional video. Thank you Lands’ End for giving us an opportunity to shine in your photos! Posted in San Diego | Comments Off on CAST of Old Town Trolley Tours of San Diego Become Land’s End Business Outfitter Models! The Key West Butterfly and Nature Conservatory is a breathtaking butterfly park that contains nearly 60 different varieties of live butterflies. You can observe the butterflies close up and personally through the climate controlled and glass enclosed habitat! You can stroll through the beautiful park and enjoy the flowers, waterfalls, trees, and even many species of birds like canaries, finches, and Chinese quail! 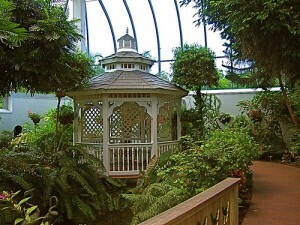 The Key West Butterfly and Nature Conservatory! Posted in Key West | Comments Off on How Many Butterflies? You are currently browsing the Old Town Trolley Tours Blog blog archives for April, 2014.